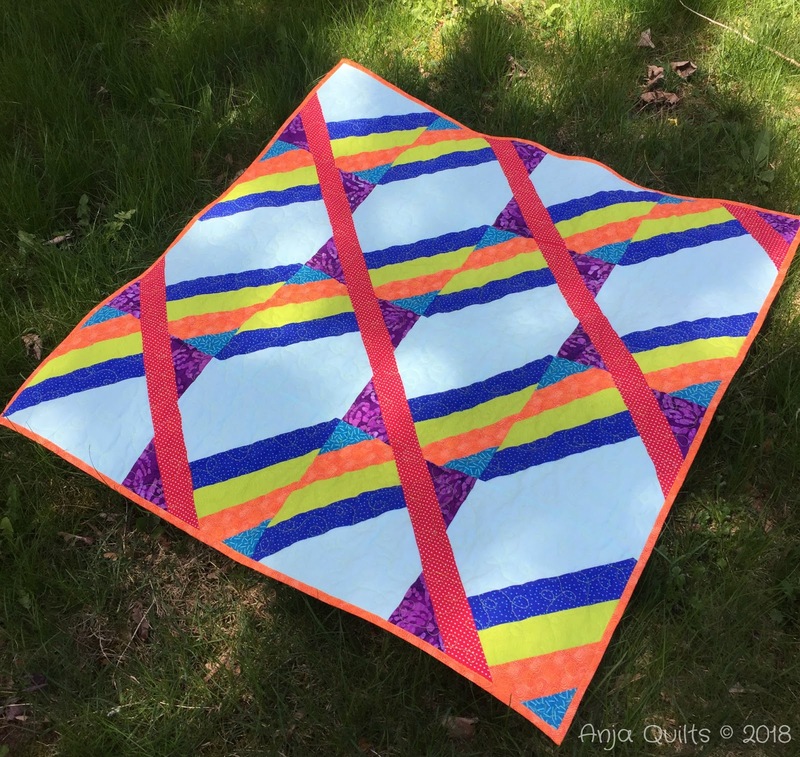 I had the opportunity once again to test a pattern for Cindy @ Stitchin At Home. The pattern is called Lattice. This is the baby-sized version, which finishes around 40 inches. 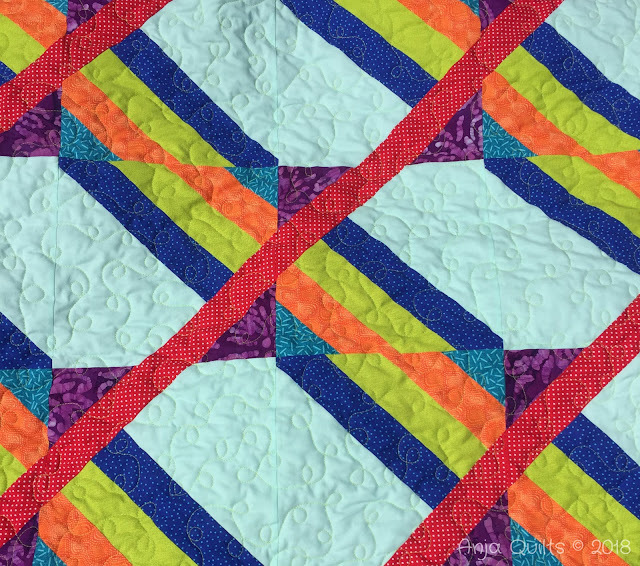 The quilting (simple loop motif) gives the quilt a lot of texture. The background is Kona Ice Frappe. I used a lime green thread because I didn't have a matching light blue thread. It surprised me with how well it blended with all the fabrics. A final photo in the one section of the lawn without dandelions. 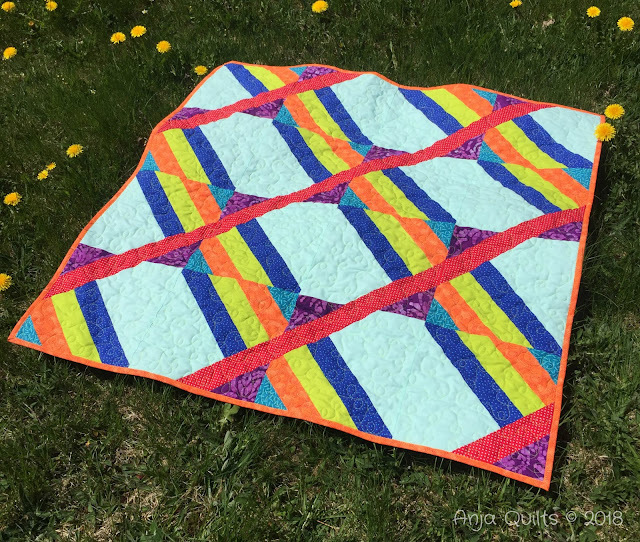 For a chance to win a copy of Cindy's new pattern, click here to visit her blog to enter the giveaway. Thanks for testing Anja! It is very much appreciated!!! How awesome that you were able to pattern test for Cindy. Isn't it amazing how thread can blend in with fabrics like that? 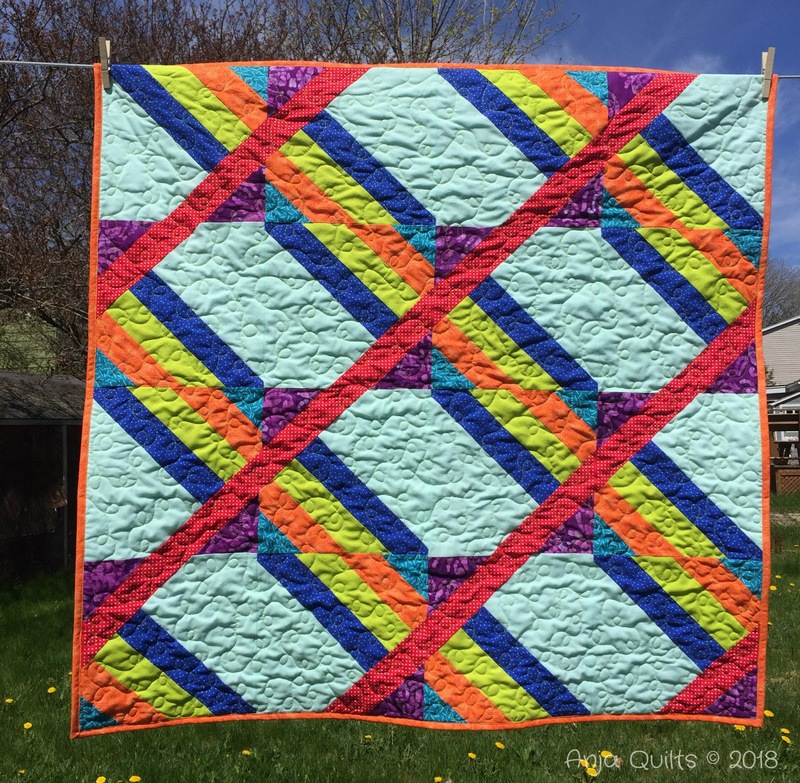 Very fun design, I really like how the diagonal lines overlay the quilt top. this is a fun quilt. I'll have to head over to Cindy's to see her version. I love how colourful yours is. What a cute pattern! This is such a bright and cheerful quilt, so perfect for a baby. Thanks for sharing on Wednesday Wait Loss. You did a great job choosing fabrics! Really gave the pattern a boost! It’s so fun that you’ve been testing all these patterns! This one is really cute - I like your fabric choices. It really is surprising that the thread blends in so well - who knew! That looks like a fun test! I just ready Cindy's blog about her pattern, so I had to pop over here and see your version. Love it! It's so fun to see how everyone makes it look so different with their fabric choices.